Well, I’ll Be Damned (252/365 year 3) – Annoyingly Boring? 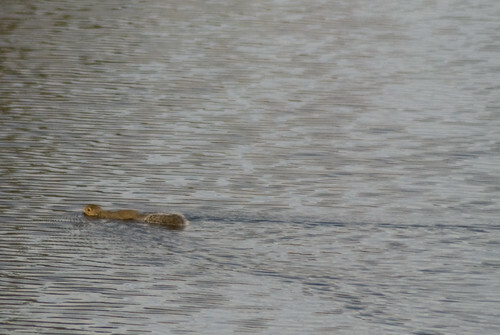 Who knew that squirrels could swim? Yes, squirrels (any of the large family of small or medium-sized rodents called the Sciuridae) swim using a “dog paddle” motion and their tail as a rudder. Swimming is by nature quite strenuous for a squirrel, and it’s generally not done unless absolutely necessary. Nice capture, I had never seen one swim before.